We really do appreciate you visiting our site. 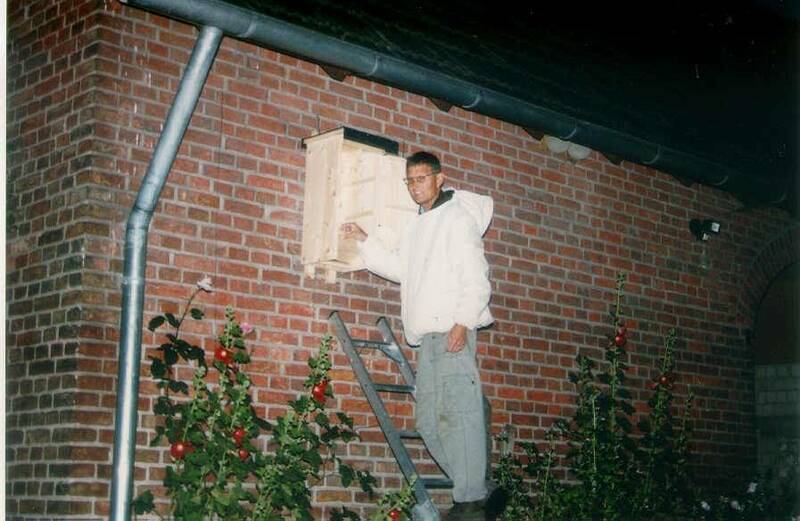 It is 4:30 at the morning: A relatively small nest from a bird box will be introduced into this wooden hornet box (at this time of day it is still cool and dark and the animals behaves very calmly). With the box hung up, the hornets will be able to reach their full potential. Ready! 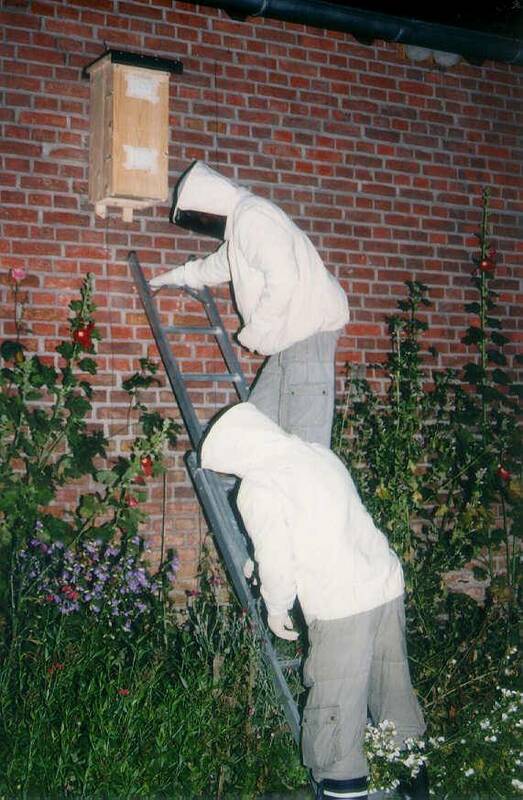 The "hornet protection group" Münster accommodate the hornet nest in the larger box! The entrance holes are kept closed until the animals have calmed down after their removal stress. They will orient best with the light of the coming dawn. They have been given some honey to kick start them in their new home. More information and images about the Bald-Faced-Hornets? Follow this Link! We would be very delighted if you'd switch a link to our site! Use one of our Banner, please. This site is under constant re-construction. Please check back often. If you followed a broken link, please inform us via E-Mail. Thank you!